The DB800W drum and bell kit provides the student with a both a snare drum and bell kit so that both rhythmic and melodic passages can be played. 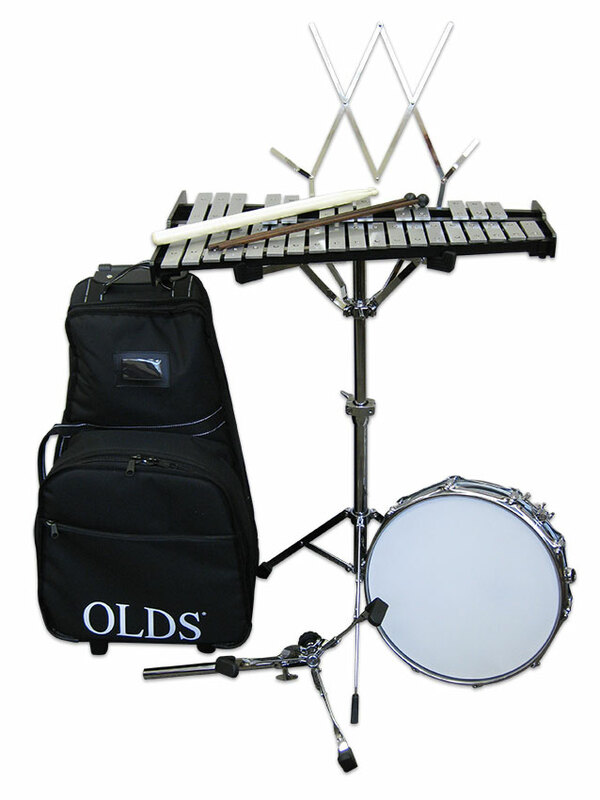 Complete with drum sticks, mallets, tunable pad and adjustable stand. A rolling zippered canvas bag keeps all of these items conveniently stored in one place.